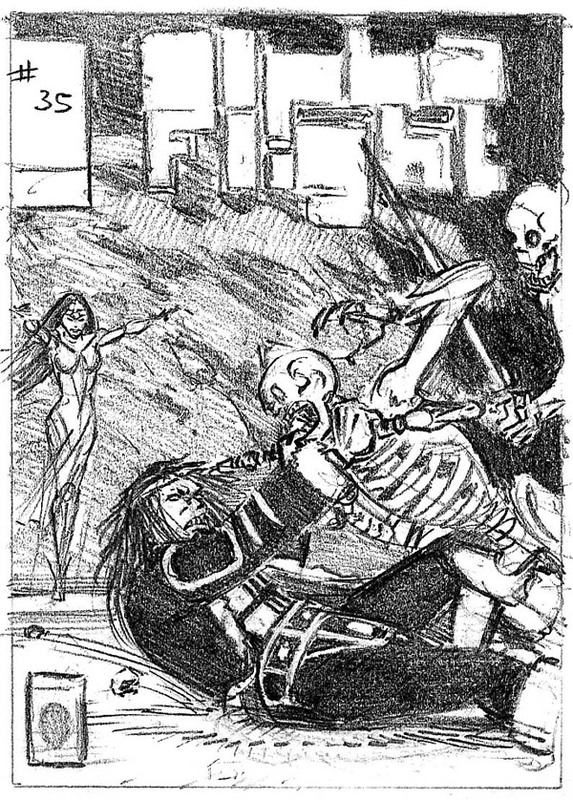 Recently I started archiving pre-computer artwork, scanning photocopies of pencil art on past projects and original sketches from those projects as well. The site offers me an opportunity to share these with you so over time I'll be posting new 'old' images here. Watch for updates!" "My first cover art at Marvel. The Editor sent the sketch back to me with a tracing paper overlay outlining changes. Remember that these are pre-home computer, pre-internet days. I had mailed the sketch to him and he in turn mailed it back with those revisions. Now I know how grandmother felt explaining how the iceman used to deliver blocks to each home from his horse and buggy!" 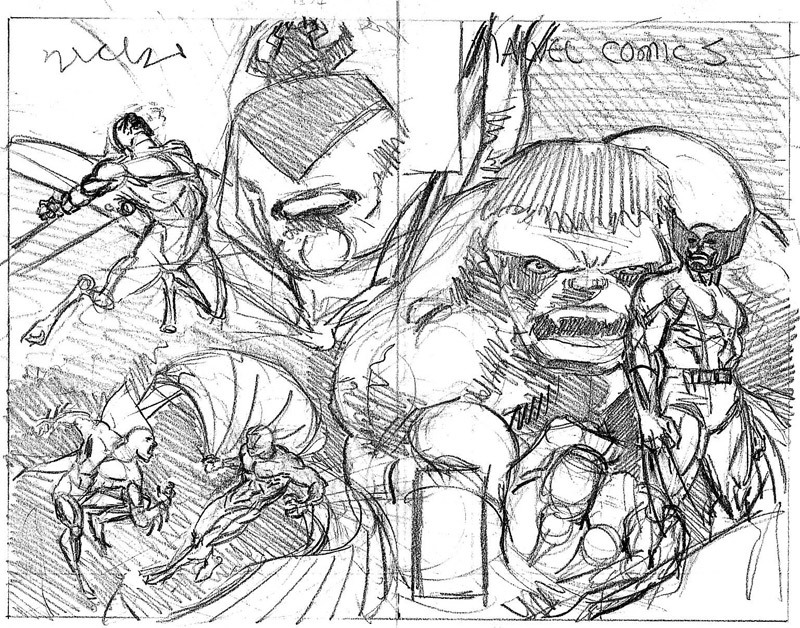 "I did two wraparound covers for 'Marvel Comics Presents' while drawing a Hulk/Wolverine story arc for the interiors. This is the first of them. In this case revisions were simply discussed over the phone." 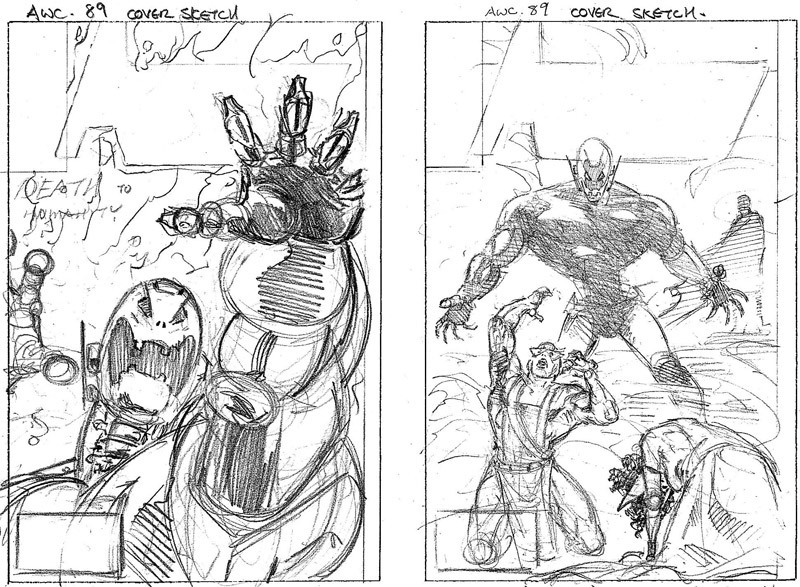 "It was typical to do at least two variant sketches for each cover assignment. Editors like to have options and cover designs are crucial to marketing of a book." Draw what you can see. Let your hand discover your imagination.